Naslagwerk over alle aspecten van het navigeren op zee en open water. 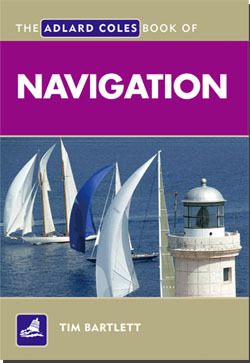 The Adlard Coles Book of Navigation is the perfect reference for anyone following an RYA navigation course, from Day Skipper through to Yachtmaster Offshore and for any seafarer requiring a knowledge of navigation. This highly practical book explains everything the reader needs to know to navigate a yacht or motorboat from one port to another safely and accurately. Using clear diagrams, worked examples and colour photographs throughout, Tim Bartlett explains each stage of navigation, including electronic navigation. Even experienced navigators will find this authoritative and modern book enjoyable and informative. Excellent bestselling reference ... you should be able to do it once you've read this! A must-have for any coastal and offshore yachtsman.